If you have been following my blogging journey posts, Part 1 and Part 2. I am continuing the series today. I am sharing the part of blogging I love best; well second best since you are my favorite part of blogging. I know this part of my journey may be of more interest to other bloggers and not to everyone, but I get so many questions about it that I wanted to include it in the series. So…my favorite part of blogging besides getting to engage with you is the photography, images, and graphics I have learned to take and create. I have always been a visual person so it makes sense that I like this aspect of blogging. For me, photos make the post. They are visual and if taken with the right light, angle, etc. can tell the story all by themselves. I can express myself without having to write a word, which I sometimes struggle to do. I have learned a lot about photography over the past 6 years… and I mean A LOT! When I look back on some of my older posts, it makes me smile to see how far my photography has come. Above is a photo of the upstairs bathroom in my house. The photo on the left was taken over 3 years ago. I used a Canon point-and-shoot to take the photo. I did editing on it at the time, but only knew a little bit about how to do it. It is dark and the white balance is off. Fast forward to a few weeks ago and you can see I learned how to take and edit photos better. I used a Canon 5D Mark II and a 24-70 mm lens to take this. The photo has the right white balance and it shows the true brightness of the room, as if you were standing in it. I did not change the paint color on the walls. This looks like the actual color. The wall color looks green in the first photo. Learning how to use a DSLR and edit pictures in photo editing software made all the difference for me. When I first started blogging, I had the 7 year old point-and-shoot (mentioned above) with a battery door secured with duct tape. It took OK photos if the light was right, but no matter how hard I wanted that sharp focus and dreamy blurry background in my images, I could not achieve it with this camera. I tried to rock it, but got frustrated with my images. My blog grew even with the photos I was posting, but I knew the photos could be better and made it my mission to become a better photographer. One of the things I learned is that a good photo is not necessarily only about having a good camera. It is all about the light. If you have great light, you are going to get a much better photo. I also found out that to get the types of photos I wanted, I would need more than one lens. A good lens can make all the difference and I think they are more important than the camera. Even though DSLR’s are the go-to of most professionals, the camera on your phone can take excellent images if you know all of its features and have good light. You truly don’t need to have a DSLR. I got a new phone last fall, I switched from an iPhone to a Samsung Note 4. Here is an example of an image I shot recently without the need of a photo editing app, I just used one of the modes that came with the camera. It may not be perfect, but does show that if you take the time to learn basic rules of photography, like the rule of thirds you can get some pretty nice shots. After all my research I knew I wanted to upgrade my camera to a DSLR and asked my Dad if he would loan me the money to buy it. If you remember, Ed had lost his job and spending money, especially thousands, was not what we could afford to do at the time. Of course, my dad said yes and just gave me the money. XO to my dad. I bought a Canon 60D with a 18-35 kit lens and also a Canon 1.8 50 mm lens. This camera and a course I took called, Shoot Fly Shoot were the game changers for me. 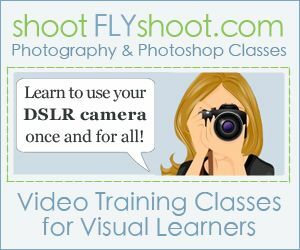 If you want to become a better photographer and learn what all the bells and whistles are on a DSLR, Photoshop, and more. I highly recommend their courses. I took Photography 101 and 102. Although I took many other online courses and watched YouTube videos about Photography before this, these 2 online courses made it all come together for me. Two years ago I upgraded my camera equipment again to a Canon 5D Mark II. I did this because it is a full frame camera. Without getting technical, it captures a larger area and is not what is called “cropped” frame. I bought it “used” along with two used lenses from KEH Camera. Spending more to get good lenses was really the key to get the type of photograph I wanted to create. Sharp, clear, and vivid images and in some cases a soft blurry background that puts the project or item I am photographing in focus. Buying a used lens from a reputable company like KEH made this upgrade affordable. I wish I still had the Canon 50 mm f/1.8 lens that I used with my 60D, but I dropped it and it broke :-( To replace it, I bought a Canon 50 mm f/1.4 lens, but never liked it. It was too soft and I came to learn that not all the glass in lenses is the same – the glass in one can be a slightly off. I sold that lens and splurged to buy a used Canon 24-70 mm f/2.8 EF L lens. I loved it from the moment I viewed my first few photos with it. It is what I use to take 90% of my photos. I use a Canon Macro 100 mm f/2.8 EF L lens for close up shots for tutorials and smaller projects I post about. I still miss that nifty-fifty 1.8 lens and want to buy a new one on Amazon. KEH and Amazon make it so easy to buy camera equipment with no-hassle returns if you find you don’t like the item. It is the way I have purchased most of my equipment. One other thing I learned about photography is a biggy! Mediocre photographs can turn into something amazing when you know the ins and outs of photo editing programs. There are many available for purchase on the market as well as free ones like Pixlr and Pic Monkey. I didn’t want to splurge on the cost of the full-fledged Photoshop when I first started blogging and after lots of research I went with Photoshop Elements. It costs around $70. I still use it today as it has evolved for me from Version 8 to Version 13. It does everything I need to do to create the images, graphics, and printables for my blog. I learned how to use this software from Amanda at Everyday Elements. She had free tutorials on her blog. I read every one. I also watched quite a lot of YouTube videos on how to use the program. I take all my photos in manual mode on RAW. PS Elements has a RAW editor built in that allows me to fix the white balance and more in my photos. I have Adobe Lightroom, but just can’t seem to get my groove with it even after going to a day long course to learn how to use it. Since PSE has the RAW editor, I am happily sticking with it for now. To accommodate the task of having to take photos on an ongoing basis, I redesigned my studioffice when I started to blog full-time. I created what I dubbed my Mini PhotoStudio. I take a lot of photos and edit until I like what I see. I get much better photos when it is a sunny day. So much still to learn…along this blogging journey of mine. As with anything, the more you do it, the better you get. This is true and I hope to learn even more in the coming years so I can rock every photo I take. I so love that you didn’t give a bit by bit of your daily life blogging, rather you have intense info on the choices, your actions, why and how to become a financial earning blogger. Thank you. I so love that you are teaching and sharing your learning curve with us. Thank you for sharing! I started a blog and haven’t a fancy camera, but it goes to show with some good photography rules, you CAN have wonderful pictures. Love your blog! Hi Amanda – I have read a few blogs where all they use is their camera phone. It is all about the light, truly if you have good light and an eye for composition you will get great photos no matter what camera you use. Wow what a difference photography skills can make! I love beautiful photos but don’t have the photography skills to match. I’m inspired by your progress. Maybe there’s hope for me too! Thank you so much for sharing your blogging story. I think it is amazing. I am not a blogger, but understand a bit more of how it all works, and how much time and effort goes into a post. I admire your tenacity, you are a trooper. Thank you for answering my questions about your photography! I’m thinking of upgrading from my little pocket camera, and your post has given me more to think about when deciding on a new camera. I recently learned about mirrorless cameras, which are very small and lightweight, and plan to do some research on them, as well as the DSLRs. Your posts are always interesting to read and beautiful to look at. You will be sooo glad when you incorporate Lightroom into your photo editing programs. It makes all the difference. I, too, hated to venture beyond Photoshop, but now I load my photos into Lightroom, edit them, then transfer them to my website and tweak them with Photoshop CS3. Hi Diane…I love your mini photo studio. I’m always trying to find a space with an uncluttered background and the right light, and that solves it. I’ll have to see if I can find a spot in my house for one of those! I am also on the journey to becoming a better photographer and had been trying to figure out why I would want to use Lightroom AND Photoshop Elements…but it seemed like so many photographers used both, I figured I must be missing something. I finally found a reason. For me, it’s not in the editing of the photos (I still use Photoshop to do that), it’s in the export capabilities…there’s a plugin that lets you publish your pictures from Lightroom directly onto your wordpress site. And if you ever need to tweak them, it manages the updates. This has saved me so much time, I am now a full-on Lightroom fan. Hi Wanda – I know many bloggers who love Lightroom, I just need to use it more so I get the hang of it. Thanks for telling me about the plugin, I will have to look into it …it sounds like a real timesaver! Hello Diane, I love your blog in general, but this series about your journey as a blogger is so inspiring. I am just now starting a blog and feel so late to the game, but I’m taking everything you’re saying to heart. Thank you! I would LOVE to learn photography – I’ve been talking about it for years – but I assumed you had to have an expensive DSLR. My job doesn’t depend on photos, but as a hobby I spend a lot of time out doors and with my kids and I know the photos I take don’t at ALL capture the feelings in the moments! PS – we need more sharing buttons on your posts!! :) And I remember when you came to start something ‘serious’ after Ed lost his job. You’ve done amazing work!! Thanks Cathy. I wish I had known more about photography when my girls were little, I have some cute photos of them, but none have them in focus with a soft background which I would have loved for their little smiling faces. Most camera phones or phone apps have this feature on them now. It is how I took the photo of the peonies. I am fine with adding more sharing buttons…lets do it. What a fabulous post! Thank you for sharing all your photography tips AND your sources for equipment. This is such great information for any blogger. I took Kevin’s class too, and it WAS a game changer. Hi Kelly – Thanks so much, I can’t thank Kevin and Josh enough for creating their courses. They are the best and affordable, too. Thanks Diane, I am a new blogger and found this post very helpful. I agree that the photography is one of the areas of blogging that I so enjoy, but as a newbie, it can still be frustrating. I’m pondering the shoot fly shoot classes and will surely link to it from your site when I do take the class. Also working with PSE13. Did you take an online class or on site class? I bought a book and am slowly slogging through it. In addition to this blog, I enjoy your site in general. Hi Lynn – I highly highly recommend the Shoot Fly Shoot classes even if you didn’t use my link. Kevin and Josh just have a way of teaching that helps the beginner. As for learning PS Elements. I learned how to use this software from Amanda at Everyday Elements. (She is changing things and her blog is down as she prepares a new one). She had free tutorials on her blog. I read every one. I also watched quite a lot of YouTube videos on how to use the program. Head over to You Tube and type in “Photoshop Elements 13 tutorials” ( add your version number) and a ton of video tutorials will show up. Thanks so much for sharing this post! I am blogging only with my iPhone, at least for now, and it’s encouraging to read your thoughts on that. I do have to be very aware of daylight, and I agree that photos are always best taken with lots of natural light on a sunny day. If I’m doing a project for the blog, I try to plan that during the day, so I can take nice, bright photos as I work. I love your mini photo studio, and that shot of pink peonies is beautiful! Thanks Elizabeth – I can never get enough peonies. They make me happy. I wish I could say I took the photo, but I bought it from an Etsy shop a few years ago.